Shogi, a game which using 8 types of 40 pieces of "koma/駒",and will be a winner for the one who can make the king unable to move. As long as you have "boards /盤" and "pieces/駒", you can play this game anywhere and anytime. In Japan, it has been popular for a long time. 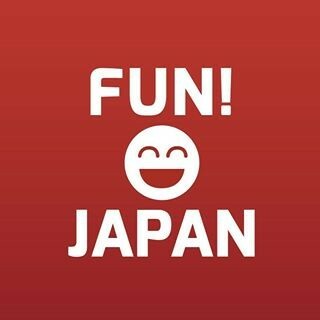 Recently, in 2016, Mr. Satoshi Fujii, when he was a junior high school student (14 years old), entered the professional youngest professional, and succeeded to get a great attention, and since then the children and the young people who being interested in this game increasing time to time. 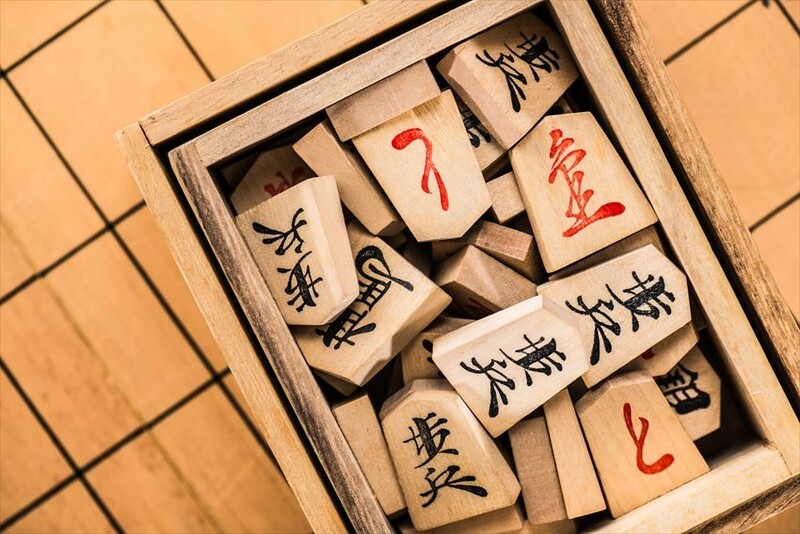 This time, we will introduce the history and rules of Japanese shogi! 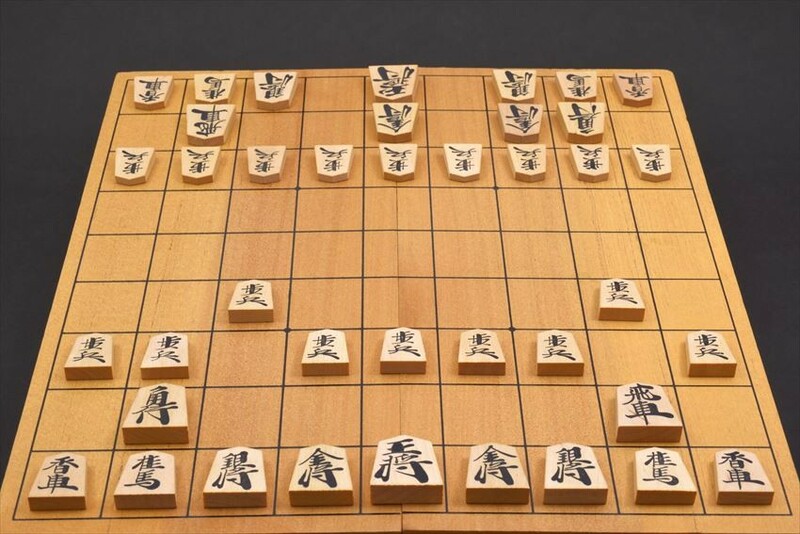 Origin of shogi, there are various theories, the time when it came to Japan has not been established, but the theory that the roots was the game by the power of an ancient Indian Chatlanga, and since then it spreads all over Europe and Asia, China Shan Chi, Chess in the West, and Shogi in Japan, each of which was handed down independently. It is said that the route to Japan is either a route that has passed through China and the Korean Peninsula from India and a route that has been transferred from India to Southeast Asia and Japan. 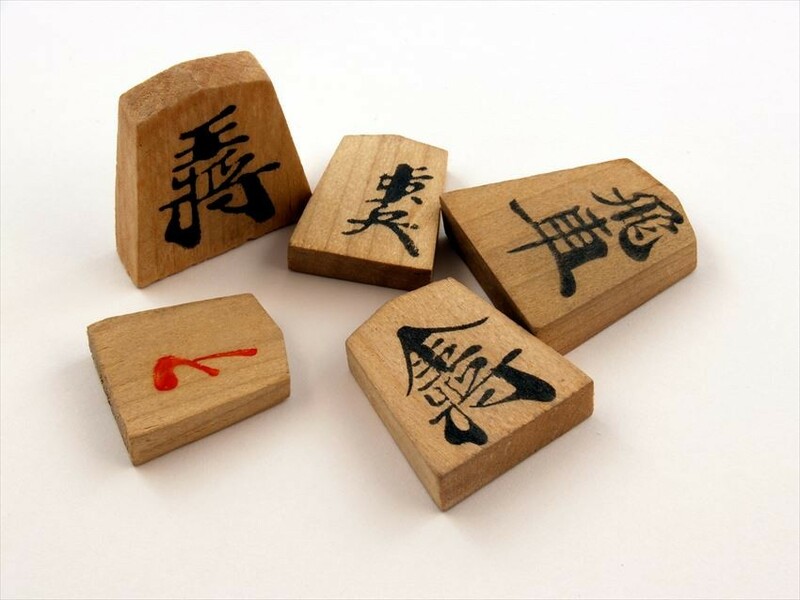 The Japanese Shogi in Heian era was being called "Heian Shogi", is the prototype of Shogi. In the Edo era, the place for playing shogi was established in the shogun, and shogi was actively played. In 1947, the "Japan Shogi Federation" was founded, holding eight title battles, such as Ryuo Battle, Masters Battle and Eio Battle, organizing training sessions, setting shogi classrooms, etc. 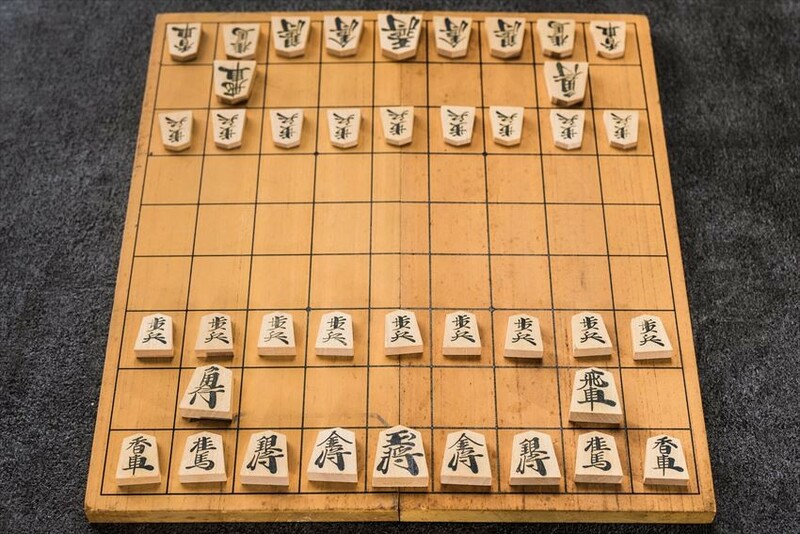 Recently, the game of shogi using the Internet has been popular, and it is also familiar to young people. There are about 200 professional players currently in Japan. In order to become a professional shogi player, you have to enter a scholarship training institution called an encouragement party, gradually raised to 6th, 5th, 4th grade ... 3rd grade, participating in the 3rd stage league twice a year And the top of two person will be 4 steps. Four or more steps are called professional shogi players and can participate in eight title fight etc. In the shogi board, 9 × 9 squares are written, and the number of squares is 81 squares in all. "Three rows up to the third row on your side are called" own team/ ", up to the third row of opponent is called" enemy position ". The 8 types of pieces/駒 are one piece of king/王将 (or gyokusho), one rook (飛車/hisha), one bishop (角行/kakugyou), two gold generals (金将/kinsho), two silver generals (銀将/ginshou), two knights (桂馬/keima),two lances (香車/kyousha) , nine pawns (歩兵/fuhyo) with the total 20. Two players take action by taking turn, by using 20 pieces in each, and winner is the one who take the king in first place. At the start, it is decided where to place the pieces (on the photo). A superior person or a teacher of shogi puts a piece on the shogi board from the piece box, placing the king general, it is manners that the current person or student put "kingship". There are four basic movements in this game: "to go/susumu (進む)", "to take/toru (取る）”, "to become/naru (成る)", "to hit/utsu (打つ)". The movement of the piece is determined for each piece (in clarification 5), it is essential of this game is to memorize the movement of this piece first. "Susumu/進む"... Any piece can go forward. There are a piece that can move greatly at once, a piece that can jump over one's piece and the opponent's piece, and a piece that can not be moved backward even if it advances in the front. "Toru/取る" ... ... If your opponent's piece is in a place where your piece can move, you can take the opponent's piece and move on to that square. Even if your opponent's piece can move, if there is your piece in the place, the opponent's piece will be taken. The piece you take can be used as a piece, as a "mochigoma"
"Utsu/打つ" ... When using this mochigoma, say the word "utsu" loudly, and the place you can hit is only the squares that do not have pieces/empty." "Naru/成る" ... ... When your piece enters the opponent's position or the opponent's piece enters your position, you can turn the piece inside out and change the movement. This is called "forming". Also, you can also use this when you leave your opponent's area. 5) The movement of each piece is decided! For each of the 8 types of pieces, the motion of the piece has been decided. I will introduce some of them. “King (王将/osho)”: You can move one square at a time in all directions of Vertical, Horizontal, Naname. The back side is solid and can not be "formed." It is the most important piece in shogi, and it will be lost if this king general does not advance. "Rook (飛車/hisha)"... If it is vertical and horizontal, you can go anywhere until you hit another piece, but you can not jump over the piece. "It becomes", it becomes "a dragon (dragon)", and it becomes possible to move one even to diagonal move. "Bishop (角行/kakugyou)" ... If it is slanting direction you can go anywhere until you hit another piece with one time. "becoming/成る" will be "horse", and you will be able to move one vertically and horizontally one by one. 6) The winner is the player who can make the oppponent`s king unable to move! In Shogi, those who lost their opponent's master are winning. The point is how to enclose the king. The important ability for shogi is "ability to read ahead". Think about which piece to put where, then, where the opponent places the piece, and then, which piece to put where you are ... · It is a secret to think strongly on the three times ahead. As the number of pieces are increasing, as it goes into the middle stage, even if it says to read three times ahead, you still have to read many patterns. Recently, when you acquire the ability to read ahead or logical thinking, it is popular Shogi as one of the lessons. Please challenge once by all means! 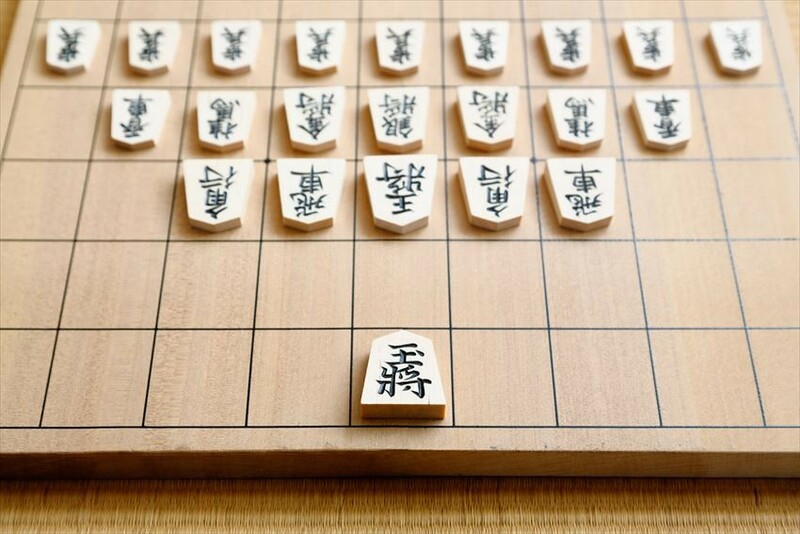 Shogi boards and pieces, high-end items are made by wood, affordable items are made of plastic or synthetic resin. You can buy the price for 2000 to 3000 yen for the set, around 1000 yen for the portable small one!